As we follow the Yiddish folk song Tumbalalaika around the world, featuring performances in Amsterdam and in an Italian movie, we come to Rostov, Russia, probably not far from where the song originated. 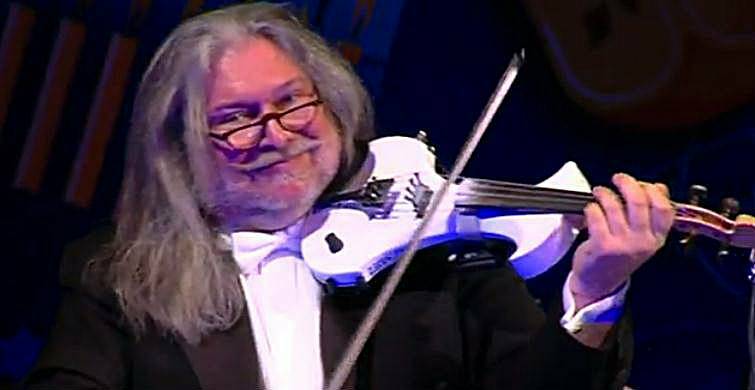 Last month, the Jewish community of Rostov was the site of a concert that featured violinist Igor Epstein playing Tumbalalaika in the Gorky Theater. With a black kippah nestled in his mane of white hair, Epstein showed his virtuosity in interpreting this folk classic. Rostov-on-Don is located in southern Russia not far from the Ukrainian border. It has a population of 1.1 million people including over 10,000 Jews. Once home to a bustling Jewish community with 14 splendid Synagogues and many communal institutions, Rostov now has just one Synagogue around which Jewish communal activities are centered. Rostov has been the site of tragic events, including anti-Jewish riots in 1883, the pogrom of 1905, and a Nazi massacre in 1943. Rostov-on-Don is also noted for the resting place of the fifth Lubavitcher Rebbe, Tzadik Rabbi Sholom Ber Schneerson (Rabbi Rashab) of righteous memory, who spent the final years of his life in this city. Today Jewish life is experiencing a revival in Rostov. Two years ago a major restoration of the shul was completed. Currently they have a daily morning minyan and Shabbat services attended by more than 100 people. There is also a Jewish day school with more than 130 children enrolled.